The mobility support system (MSS) that we propose expands the field of activities of personal mobility vehicles (PMVs). The system consists of a server, an ultrasonic wave (UW) system that provides self-localization in facilities, and an infrared ray (IR) system that supports passing through narrow spaces in facilities such as station ticket wickets for PMVs. 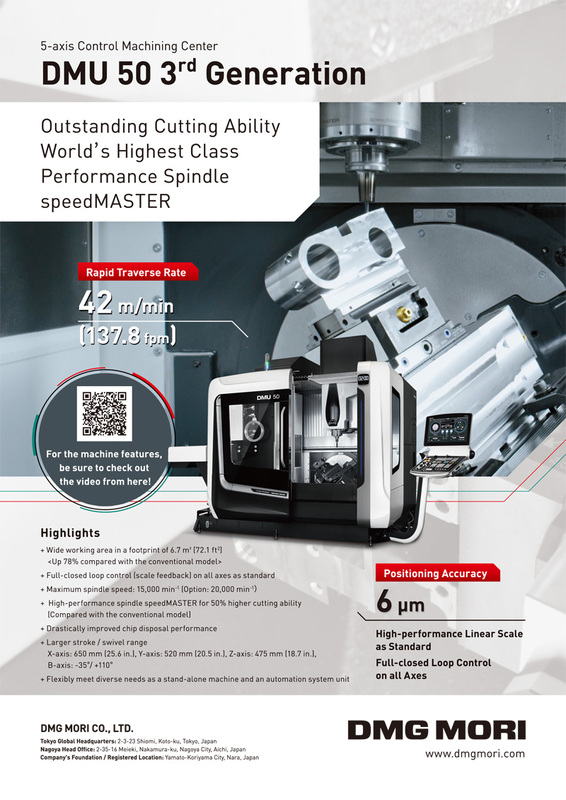 Results of experiments confirmed the feasibility of the system. T. Fujikawa, M. Ishikawa, and S. Nakajima, “Mobility Support System for Personal Mobility Vehicles,” J. Robot. Mechatron., Vol.27, No.6, pp. 715-716, 2015. 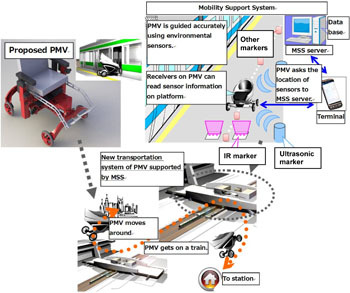 S. Nakajima and T. Fujikawa, “Proposal for Personal Mobility Vehicle Supported by Mobility Support System,” Proc. of 2012 IEEE Int. Electric Vehicle Conf., 2012. T. Sato, N. Matsuhira, and E. Oyama, “Development of Common Platform Technology for Next-Generation Robots,” Advances in Service Robotics, pp. 161-180, 2008. M. Ishikawa, T. Fujikawa, and S. Nakajima, “Indoor Driving Support System for Personal Mobility Vehicle Driving in the Public Facilities,” 2013 RISP Int. Workshop on Nonlinear Circuits, Communications and Signal Processing, pp. 25-28, 2013. T. Fujikawa and S. Nakajima, “Proposal for An IR System to Support Automatic Control for A Personal Mobility Vehicle,” Proc. of the 2012 IEEE Int. Conf. on Robotics and Biomimetics, pp. 2207-2212, 2012.